Need Protection? This is what you need. Because evil is everywhere, comes in all forms, working on your downfall, conniving for your defeat. Heavenly Father You have promised that when we dwell in the secret place of the most High and shelter under the shadow of Your wings you will guard and guide us, protect us and keep us – for You are our refuge and our fortress and You alone are the one in Whom we place our trust. Sharing my favorite praise and worship songs which I choose to sing often in our weekly mass. Living everyday in the power of your love. And a song of gentle mercy and of peace. And your faithfulness as certain as the dawn. Your word of mercy and of peace. Thine was the gift to thee I all resign. These make me rich, all else will I forego.. This recent hospitalization of my in-laws made me realized the frailty of life. The dawning of one’s life is such a poignant reminder how we should live in this world, grasping every breathe, savouring every moment, enduring the highs and even the lows of our existence. One day you’re up and okay, next day you’re not. And God, through it all, yet we fail to continue looking up, He is always there. Now, I speak of His wonderful love, His infallible mercy and grace, He listens and has heard the woes and cries of His Children. I’m so thankful, walking in faith not by sight, thoughtful that God’s grace is the only help I need. 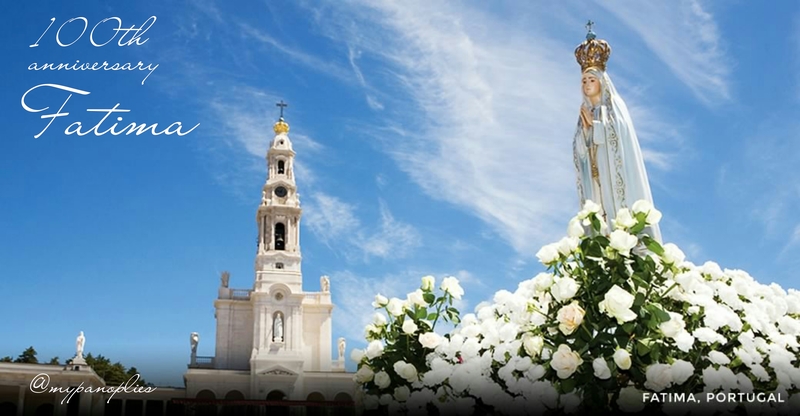 Dear Lady of Fatima, We come on bended knees. To beg Your intercession, For peace and unity. We pledge our love and offer You,A Rosary each day. To help us if we pray to You, To banish war and fear. And protection for our land. By meditating on the mysteries of the redemption that are recalled therein, may we obtain the graces and virtues that we ask, through the merits of Jesus Christ, our Lord and Redeemer.